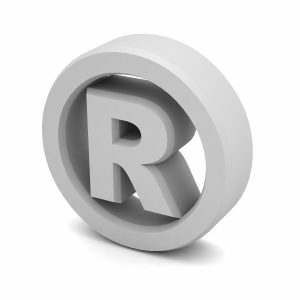 According to Entrepreneur, Assembly Bill 64 proposes expansions to the Model State Trademark Law. These expansions would allow the state to issue trademarks to businesses which deal in medical cannabis and non-medical cannabis goods and services. Both Colorado and Washington have passed similar bills to protect cannabis business owners in their states. Interestingly, the bill also contains a provision to expand current prohibits on the advertisement of marijuana. Currently, such advertisements are banned on interstate highways, or state highways which cross the border of any state. Assembly Bill 64 would expand the prohibition to all state and interstate highways within California. Cannabis business owners are also carefully tracking the progress of Senate Bill 162, which would prohibit the use of branded merchandise to advertise marijuana or marijuana-related products. The Advertising Specialty Institute reports that the bill was passed 40-0 by the State Senate. On September 1, 2017, the Appropriations Committee of the California Assembly placed a hold on the bill, which prevents it from proceeding to the full Assembly for a vote. The bill cannot become law until both houses of the state legislature have passed it. If passed, it will supplement existing restrictions on the advertisement of marijuana in California. These include prohibitions on signage, and advertising on broadcast, cable, print, radio, and digital communications in which less than 71.6 percent of the target audience can reasonably be expected to be 21 years of age or older. Of course, it is not just statewide legislation which affects cannabis business operations, and local legislation can have a far more dramatic effect. 23 ABC News reports that the Bakersfield City Council is moving forward with a ban on all commercial cannabis activity within the town limits. If passed, Bakersfield would be in the company of many other cities and counties across the state which have completely banned commercial cannabis operations – medical or otherwise – within their jurisdictions. An Orange County cannabis copyright and trademark lawyer can protect your legal rights with respect to all intellectual property issues, and ensure that your business is in compliance with all branding regulations.